Taryn Grey is a wedding and portrait photographer from California with an editorial style and a love for natural light. 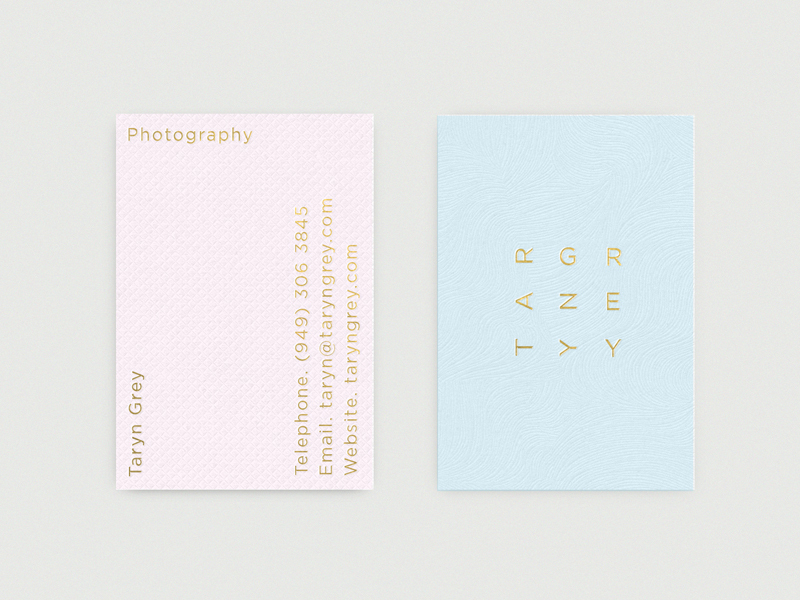 Taryn recently approached me to develop a brand identity solution, which went on to include two logotypes and a stationery set, that would compliment and frame her work, have a contemporary femininity and convey high quality and professionalism. 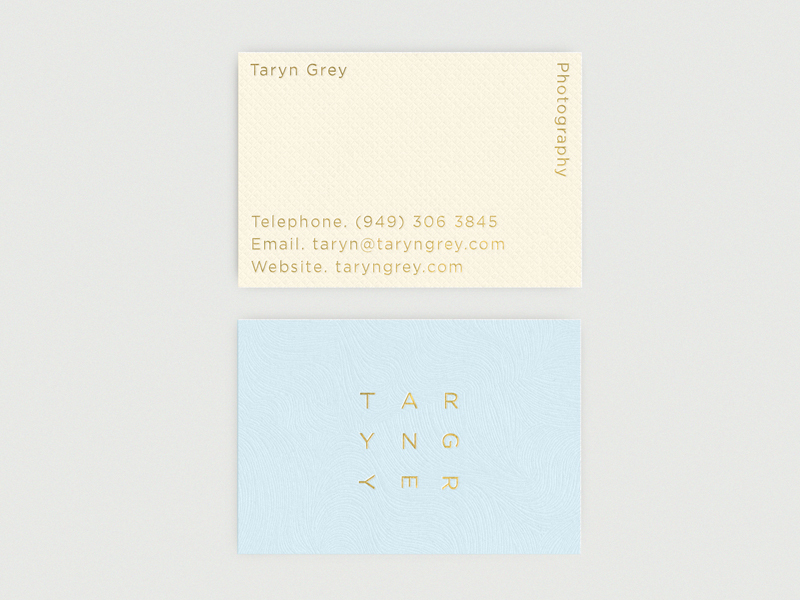 Taryn’s new logotype, divided into thirds and utilising both landscape and portrait orientations, drawn out through the dual orientation of the business card, is informed by fundamental photographic principles and formats. A simple sans-serif was chosen to reflect a practical and professional reliability. The use of a light pastel colour palette across her stationery mixes femininity and contemporary craft sensibilities which are further reinforced by physical material texture. A gold foil leverages a well-established perception of high quality and experience, and delivers a distinctive contrast alongside the matt texture of uncoated and surface embossed card. The website proposal uses the menu items, navigation, contact information, social media links and the brand identity assets to frame images and copy. Flat panels of colour on alternating pages punctuate and compliment the detail and crafted qualities of Taryn’s photography.